In this post, Nicole Lincoln gives us tips on creating clickable subject lines in Gmail using Schema markup. You probably already know about using schema.org markup in your web pages. But did you know that you can use it in your emails as well? If you’re an experienced digital marketer, then you probably already know about using schema.org markup in your web pages. But did you know that you can use it in your emails as well? That’s right. The same markup that you use to add rich content in the search engine results pages (SERPs) can be used in your email blasts as well. In fact, it’s likely that schema.org markup is the next “big thing” in digital marketing. So why not get ahead of your competitors and start using it early? In this article, we’ll go over a bit about schema.org markup and explain how you can use it in your emails. Just in case you don’t know a whole lot about schema.org, here’s a brief primer. Schema.org markup is additional code that you add to your website to give the Googlebot crawler a little more information about your pages. It’s a technology that arose from a collaboration between Google, Yahoo, Microsoft, and Yandex. Webmasters typically use schema.org markup to identify different web elements, such as images, businesses, names, recipes, and ratings. The SEO benefit of the extra markup is that Google will show your content as rich results. That’s why you sometimes see ratings below some of the links and descriptions in the SERPs. They’re derived from schema.org markup. You can also use markup on Pinterest to create rich pins that increase engagement. Now, you can add schema.org markup to your emails as well. It’s good to know that Google is engaging with other email services, but right now schema.org markup only works with Gmail. Although it would be ideal if it worked for all email providers, that’s just not the case at this time. However, it’s likely that you have more than a few email recipients who use Gmail. So you can at least reach them with markup. 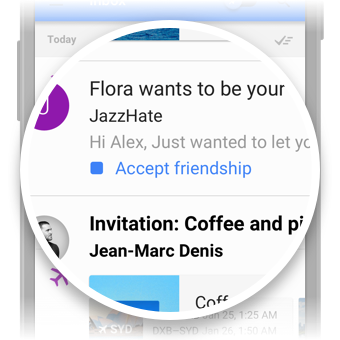 You’ll want to split up your email recipients, though, so that your markup-driven campaigns only go to Gmail users. Consult your autoresponder for instructions about how to do that. Obviously, email markup isn’t going to help you with the search results. However, you can improve your conversion rates with the right use of markup. How? Right now, email open rates average around 22%. The click-through-rate (CTR) for emails is about 3%. But keep in mind the low CTR is, in part, a function of the low open rate. What do you think would happen to your conversion rate if people could respond to your call to action (CTA) right from the subject line without even opening the email? Chances are pretty good that your conversion rate would go up. That’s exactly what schema.org markup does for you. It gives your recipients the option to respond from the subject line. Even better: they can add email confirmations for appointments, hotel reservations, flight details, and similar time-oriented to their Google Calendar. This is where marketing meets productivity. Finally, schema.org markup allows you to trigger Google Now cards to deliver updates about your business (such as new product releases or upcoming promotional events). If you’re sold on the idea of using schema.org markup in your email marketing, you might be wondering how to get started. Although it’s not that difficult, you will have to jump through a few hoops at first. For starters, you have to register with Google for email markup. That’s not as simple as providing your name and email address. Why? Because Google doesn’t want you using markup to spam its community of Gmail users. It’s not any more complicated than that. You’ll also have to meet some quality guidelines. That includes authenticating your emails with SPF or DKIM. In a nutshell, Google wants to make sure that the domain sending the emails is a domain that you control. Additionally, you’ll need a low rate of spam complaints from your recipients. If your list members already think you’re bombarding them with unwanted emails, you’re going to have trouble getting approval to send markup. So how do you add markup to an email? You can do so one of two ways: with JSON-LD or Microdata. Google seems to prefer Microdata in the header. Many of the examples on Google Developers use Microdata. Also, the Email Markup Tester favors Microdata. Whenever you’re dealing with a new technology, it’s always a good idea to “go with the flow” and follow what more experienced peers are doing. Once you’ve established yourself as an expert, you can adopt your own style. That said, you will see examples for both JSON-LD and Microdata on the documentation page. So if you really want to go with JSON-LD, you’ll have a frame of reference. Incidentally, you should consult those docs for complete details on how to implement schema.org markup in your emails. You’ll not only find some great instructions, you’ll also see examples that you can use as templates in your own email marketing. Also, keep in mind that you don’t have to actually mark up the subject line to get a CTA button to appear next to it. You just need to mark up the email itself and Gmail is smart enough to display the appropriate CTA on the subject line. For example, if you’re sending an email that requires an RSVP, just mark up the email itself with the appropriate RSVP detail and Gmail will display the CTA button next to the subject line. The user won’t even have to open the email to RSVP! Schema.org markup can take your email marketing to the next level. 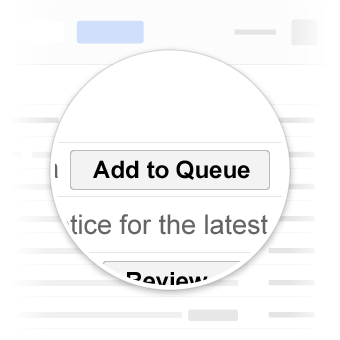 It’s a great way to make it easier for your recipients to respond to your CTAs. As a result, you can expect your conversion rate to improve.